A sleeping bag to save your sleepless sanity? Here’s why you should try one! As Mums we often find ourselves riddling as to why our little people don’t sleep through. We can be anxious as we progress through the stages of baby sleep…. The worry of stopping to swaddle, the anxiety of a baby that has just begun to roll or sleep face down, and the stress of changing seasons and keeping baby warm. The answer to many of these concerns is simple – a baby sleeping bag! Promoting safe sleep practice, making snug warm babies and even improving sleeping, this is the item that every mum must try before she declares her child a terrible sleeper. You can stop worrying because they are safe – really safe! From the Safer Sleep Checklist; a baby sleeping bag is a safe way to sleep baby as it eliminates the need for any bedding and therefore there is nothing that a baby can pull up over their face and head, get caught up in, or kick off in the night. Put a grobag on your little one and you’ll sleep like a baby knowing they are in the safest possible sleepwear. 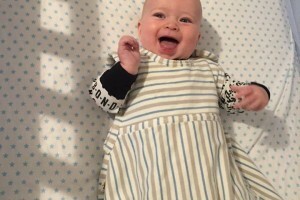 Baby will be snug – and hopefully stop that crazy 3am waking when the temperature drops! If you’ve a rolly-poly baby that kicks of their bedding in the night and wakes up cold and calling for Mum a grobag could be your solution. Like a piece of clothing the sleeping bag moves with bub ensuring they stay warm all night long! 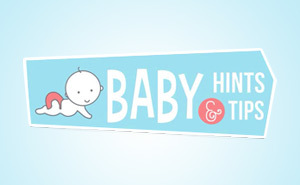 The handy thermometer is the dummies guide to stopping worrying – it tells you exactly how cool it is in baby’s room, and exactly how much clothing baby needs! When your baby first starts rolling it can be an anxious time putting them to bed and worrying about them rolling face down in their sleep. A grobag can minimise baby’s ability to roll from back to front. Whilst some babies might still be able to roll you can also relax knowing that even if baby does flip over there is no bedding to cover her face and her arms are free to re-position herself as required. Everything about grobag is gorgeous. 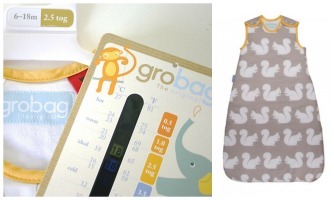 From the beautiful packaging to the fabulous prints, grobag is as much a fashion statement as a practical must-have. With limited edition prints, on-trend colours and quality finishing there’s a grobag for every little person (or mummy’s) taste! Many of the baby sleep experts encourage you to create a baby sleep routine and to introduce recognised cues for bedtime. A grobag is a great addition to your routine and can absolutely become a cue to your little person that it’s time to sleep. 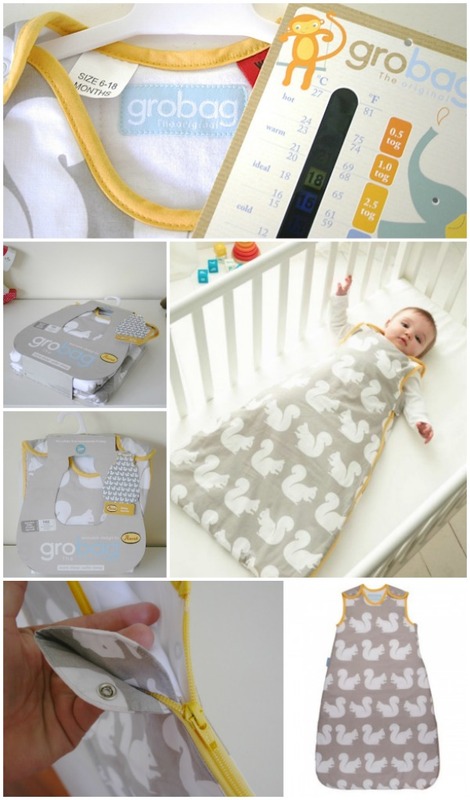 The best news is that with a grobag this is not a cue they can grow out of like swaddling – with grobags available up to very large sizes this can be a staple part of your routine for years to come – and without the stress of being forced to change the dreaded sleep routine! If you are facing any or all of these sleep challenges try a grobag for a better nights sleep for the whole family.